We had an all day staff meeting today at our co-director’s home. It was a wonderful opportunity to catch up with each other, celebrate our accomplishments over the past year and plan for the huge amount of work we’ll be doing over the next year. 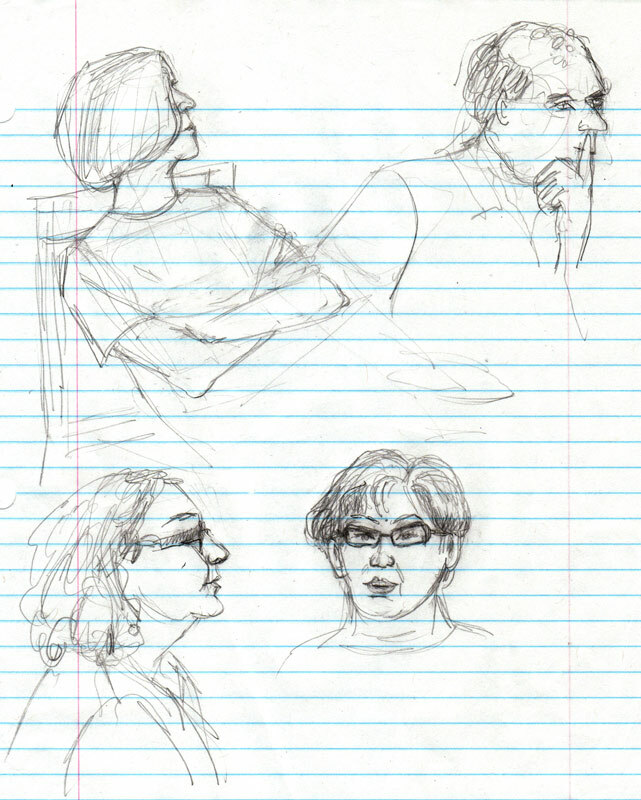 It was also a chance for some sketching. The gentleman above rests his finger just below his nose when he’s listening with concentration. (Just had to explain since it looks like he’s doing something else). I really like the way the woman’s foot in this sketch turned out. She’s quite petite but I think I should have made her legs bigger since they were closer to me. Last year we had our annual all staff meeting in a stuffy conference room. It was so much nicer gathering in a home where we could eat pizza in the backyard and sit in comfy chairs in a pretty living room and kick our shoes off. sent that comment(I haven´t).I am puzzled. Excellent sketches Jana! I can’t imagine how you managed to do these without upsetting the subjects, but you did a really fine job. The sitting woman’s face is really lovely – I never thought of it before but maybe drawing a face on lined paper helps get the proportions right??? I will try it. 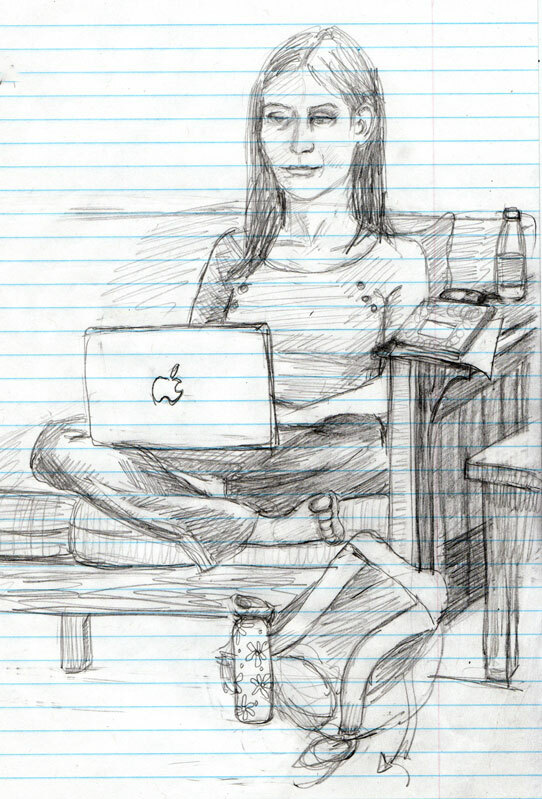 The woman in sketch #2 was reading blogs. You can tell by the look on her face.